This football season super fans can drive with pride with a customized Gator, Knight or Seminole toll sticker mounted on your car windshield. Super fans can expect to score big and save more by getting the same discounts and benefits exclusive to E-PASS customers – like up to 20% savings on tolls through the CFX Customer Loyalty Discount program and Beltway Discounts. Need more good reasons to get your CollegePass? How about the freedom of non-stop travel on all toll roads and most bridges throughout Florida, Georgia and North Carolina. Plus, use your GatorPass, KnightPass, or NolePass to pay for parking at Orlando International Airport. Gator fans can purchase a GatorPass at the UF Bookstore or Gator Sportshop. Seminoles can purchase a NolePass at the FSU Bookstore or Seminole Sportshop. Knight fans can purchase a KnightPass at the UCF Bookstore. Get yours today before supplies run out! Please allow 7-10 days for delivery. Gladly accepted on all toll roads in Florida, Georgia and North Carolina. A: Each is $18.50 plus tax plus $10 to activate your personal prepaid toll account. There are no annual contracts or monthly account fees. Q: Where can I use my CollegePass? 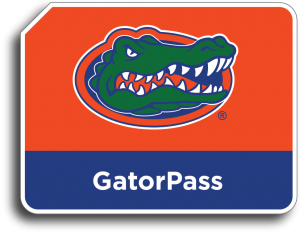 A: GatorPass, KnightPass and NolePass are gladly accepted on all toll roads and most bridges throughout Florida, Georgia, and North Carolina. Simply put, it’s compatible with E-PASS, SunPass, LeeWay, PeachPass, or QuickPass. Q: Will it pay for parking at Orlando International Airport? A: Yes. Just look for the E-PASS signs. Q: What if I already have an E-PASS but want a CollegePass? A: You can upgrade by logging into your E-PASS account or call 407-823-7277 or 1-800-353-7277. Q: What information do you need to get a CollegePass? Q: Why do I need a personal, pre-paid account? A: GatorPass, NolePass and KnightPass work like a reloadable prepaid debit card – with online account access to check your balance, add funds, and print statements. Plus, you setup automatic reload with a credit or debit card so you always have money in your account for hassle-free travel. Q: How are toll amounts deducted from my prepaid account? A: Each time you pass through tolling facilities in Florida, Georgia, or North Carolina, the appropriate toll is deducted straight from your account. When you’re below the minimum, we will send you a low balance notice. A: You have the choice to reload your account by using cash, check, money order, or credit/ debit card. You have 24/7 access to your online account and can add funds via online, at the walk-in service center in Orlando, at the Reload Lanes on SR 408, SR 417 and SR 429, or by calling 407-823-7277 or 1-800-353-7277. Q: Who is responsible for managing CollegePass? 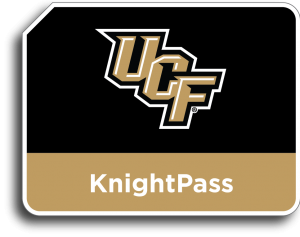 A: The Central Florida Expressway Authority (CFX) launched its first branded E-PASS partnership with Florida State University (FSU), the University of Central Florida (UCF), and the University of Florida (UF) just in time for the 2016-2017 college football season. 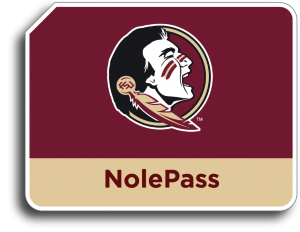 This multi-year, exclusive partnership between CFX and FSU, UCF and UF is designed to meet the needs of a loyal, traveling fan base while offering the same discounts and benefits exclusive to E-PASS customers. Q: Tell me about CFX. A: CFX is not new to the electronic toll market. In 1994, CFX launched Florida’s first electronic toll collecting system known as E-PASS. For years, other states and countries have looked to the E-PASS technology, customer service and prepaid account services as a model. Now, CFX is offering the same E-PASS benefits while offering traveling fans a new way to show their team pride. Q: Where do my toll dollars go? A: Tolls collected on CFX roads stay local – reinvested in local projects. Q: What are the benefits of CollegePass?